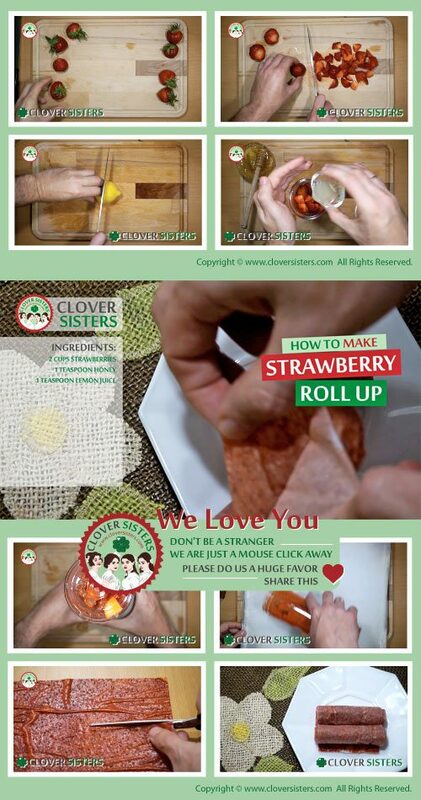 This marvelous homemade roll ups with tasteful strawberries are healthy and natural way to satisfy your child's sweet tooth and enjoy a better version of the childhood snack. 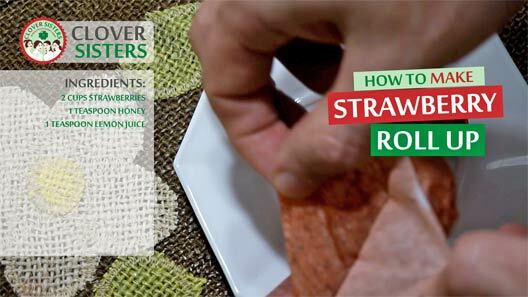 Preheat the oven to 200 F/ 90 C. Put the strawberries, honey and lemon juice into a blender and blend until smooth. Pour the mixture over a baking sheet and spread it evenly. Bake for about 3 hours until barely tacky. Let it rest until cold, cut it into strips on the paper and roll up the strips.